Very welcoming staff. Very accommodating. Very professional. The only thing that wasn't perfect was that phone calls and emails were not responded to on the same day. But they were answered in an adequate amount of time. My service advisor Ryan was excellent. He was very polite, knowledgeable.and helpful. Will definitely like to have him to serve me in the future. I am very happy with the way I am treated at Owasco. Kyle Verwey always goes out of his way to accommodate my unpredictable schedule. I am very happy with the service and helpful people. I always feel treated special. Mr. Verway's team got all the information from me and provided transportation back to my house. After a couple of hours Rebecca phoned me and explained what the problem was and what was done to solve the problem. A gentleman came to pick me up shortly after and took me back to Owasco. Happy people, helpful people, quality work, efficient use of time ..... 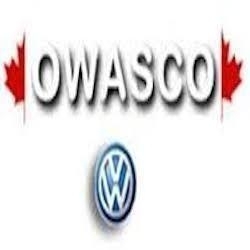 I have never had an issue at Owasco! I will continue to have my vehicle serviced there!! Was given a very reasonable discount on tire swap from winter to summer tires. Was given a very reasonable discount on tire swap from winter to summer tires. Service was quick and thorough! Polite and respectful and helpful. Clean up to service facility eith friendly and knowledgeable staff.